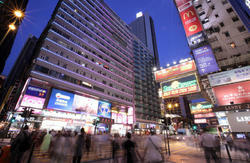 Operating with 2 branches located in central TST. We are pleased to offer you a comfy, modern and clean, yet affordable, living space while offering friendly and helpful service. HOP INN is a cozy hostel designed with independent travelers from around the world in mind. 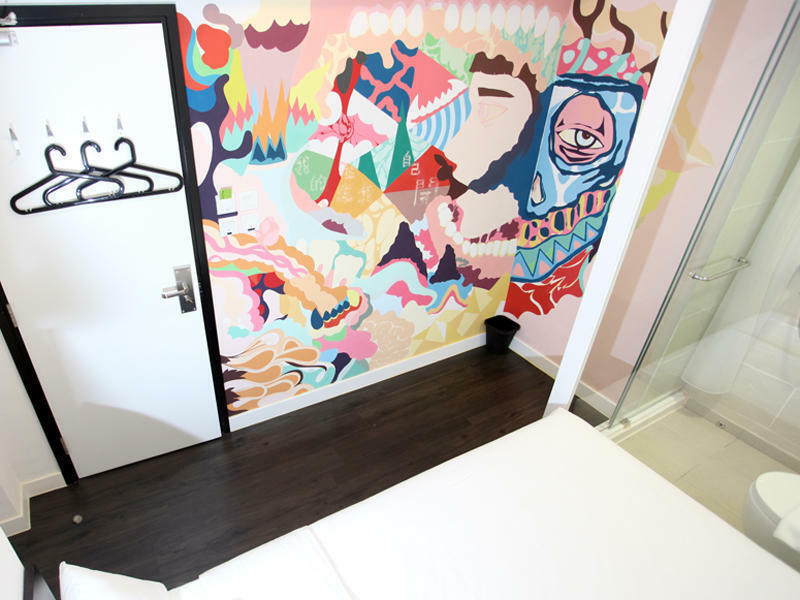 Each room is designed and transformed into living artwork by a different talented local artist. 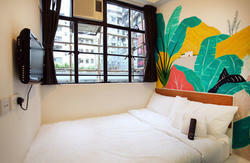 HOP INN is more than just lodging -- HOP into a living art space! Airport bus A21 > Get off at Cameron Road Stop (bus stop no. 13) & walk south (right) on Nathan Road > turn east (left) at the 2nd intersection onto Humphreys Ave > Cross the 4-way intersection & go straight onto Hart Ave > The hostel entrance is in the building next to 7-eleven. Airport Express to Kowloon Station > Take the free shuttle (K3) to Hyatt Regency Hotel > Take the lift to G/F entrance > Turn northwest (left) onto Hanoi Road > Turn northeast (right) onto Carnarvon Road > Turn east (right) onto Hart Ave > The hostel entrance is at the opposite side of the road in the building next to 7-eleven. Tsim Sha Tsui Station (3 mins) - Exit A2 > Go east (straight ahead) on Humphreys Ave > Cross the 4-way intersection & go straight onto Hart Ave > The hostel entrance is in the building next to 7-eleven. East Tsim Sha Tsui Station (10 mins) - Exit N2 > Go northwest (straight ahead) on Hanoi Road > Turn northeast (right) onto Carnarvon Road > Turn east (right) onto Hart Ave > The hostel entrance is at the opposite side of the road in the building next to 7-eleven. Go to the main terminal lobby > Take the West Rail Line (direction of Tuen Mun) > Get off at East Tsim Sha Tsui Station > Follow direction above. Turn south (right) at the terminal buildingâ€™s main entrance > Walk along Canton road > Turn east (left) onto Haiphong Road > Pass Nathan Road intersection onto Humphrey Ave > Cross the 4-way intersection & go straight onto Hart Ave > The hostel entrance is in the building next to 7-eleven.